Hockey's most famous voice, now in his own words. 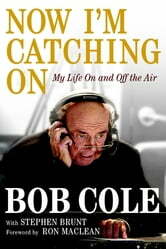 If you are a hockey fan, you know Bob Cole's legendary voice. He has done the play-by-play for some of hockey's best-remembered games, including the Summit Series, Canada's gold-medal game in Salt Lake City, and twenty years of Stanley Cup finals. The infectious excitement in his voice, his boyish love of the game, and his uncanny ability to anticipate the play have earned him the affection of generations of fans, induction into the Hall of Fame, and the unofficial title of best hockey broadcaster ever. Now, for the first time, readers will see Cole at the centre of the story rather than watching it from the broadcast booth. We meet the young man growing up in Newfoundland in the years before it joins Canada. We see him talk his way into Foster Hewitt's office and into his first job. And of course we see some of the most cherished players in the game backstage: on the plane back from Russia in 1972, rubbing elbows with Bobby Orr; in the hallway on the old Montreal Forum, running into Jean Beliveau; meeting young players like Steve Stamkos, who grew up listening to him on Hockey Night in Canada. 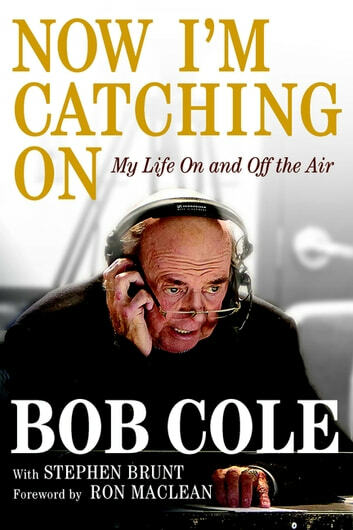 Written with the expert help of massively bestselling author and respected broadcaster Stephen Brunt, these stories come to life with the charm and detail of a conversation with Cole. They sound like Cole. No one has been closer to the game over the years than Cole, and no one is more closely associated with all we love about the game than the man whose eyes we've seen it though. Now we will see so much more through those same eyes and in that unforgettable voice.